While most automakers had a tough 2017, Aston Martin is profitable again after about a decade, surging on to a record year of sales in 2017 thanks to the new DB11. And it’s only getting started. 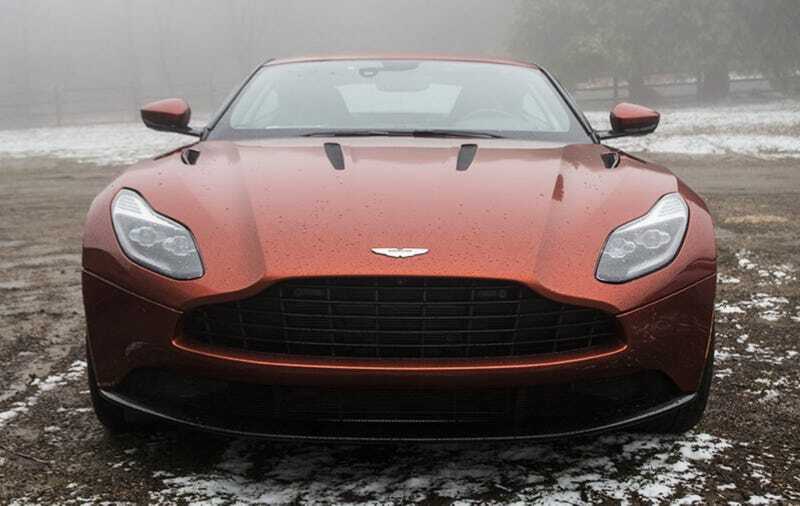 According to Aston Martin, overall sales were up 58 percent on last year, selling 5,117 cars in 2017, the first time it’s sold more than 5,000 cars since 2008. The company claims that’s thanks to “sell-out demand” for the new V12 DB11. There was also help from specialty models like the Vanquish Zagato cars and the Vantage GT8, with those sales doubling over the previous year. Earnings before interest, taxes, depreciation, and amortization (EBITDA) was reported as at least £180 million, or approximately $243.7 million. A full earnings report will be released in March. The party won’t stop here as Aston Martin has even more exciting stuff coming up, including production of the new V8 DB11, the recently revealed Vantage and the introduction of the new Vanquish. Aston will also get to work on a new UK factory to produce the upcoming DBX crossover starting in 2019. Even though many of us aren’t quite sure Aston’s new design language lives up to the previous generation, it’s clear that all the company needed to do to get back into the black was update its cars. Now that the different model lines have more distinct styling, as evidenced by the DB11 and Vantage, it will likely lead to even more success going forward. Aston may be going for the crossover crowd, but the fact that it’s able to find profitability and success without one yet is extremely reassuring in these trying times. Cheers.